Health issues are not going away. 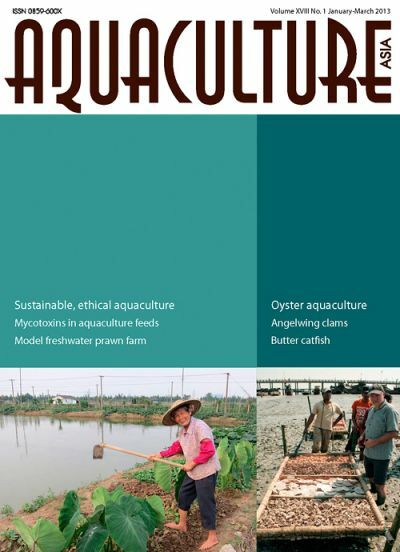 Peter Edwards writes on rural aquaculture: The EU-funded project ‘Sustainable and Ethical Aquaculture Trade’ (SEAT) in China. Oyster aquaculture for coastal defence with food production in Bangladesh. 11th meeting of the Asia Regional Advisory Group on Aquatic Animal Health. Aquaculture community mourns Prof. M.C. 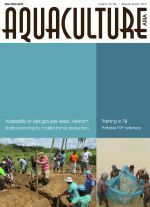 Nandeesha.Got a story for Aquaculture Asia Magazine? AusAID funded project on Institutional Support for Development of Mariculture in South East Sulawesi commences. Regional training course on broodstock management in aquaculture, Vietnam 27 May - 1 June 2013. Video recordings from workshop on sustainable intensification of aquaculture released!